We travel anywhere in the U.S.A. Follow this link to see my projected travel plans. AJ's Stitchin' Time Commercial Embroidery Technical Services. Welcome to AJ's Stitchin' Time. We provide on-site Commercial Embroidery Machine Repair, Service, and Training on most brands of commercial embroidery machines. 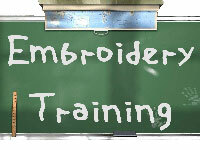 We provide one location for all of your embroidery needs. We have been in business since 2007 as an in-home embroidery business and began repairing machines in 2008. We are based in Atlanta, Georgia and travel anywhere in the continental United States of America, and work on almost any brand of embroidery machine. For a list of the machines that I am certified on click here or on the Service and Repair tab on the menu. Most embroidery machines are so simular in design that if you can repair one you can repair almost any of them. As of April 2019, I have been to all the states except those marked in Green. Click on the map to see where I plan to go next. AJST provides on-site training on most commercial embroidery machines. We cover training for novice embroiderers and someone just breaking into the field to experienced embroiders needing to learn a new machine. The training is geared toward you and your needs. Comercial Embroidery Machines - Getting to know your machine. Comercial Embroidery Machine Operation - Loading designs and how to use the control panel. All about Embroidery - This covers Backing, Needles, Threads, Bobbins, Hoops, accessories and other things you need to know about embroidery. Digitizing and Software Training - AJST offers Digitizing Training with Digitizing Software. We can teach the basics with the following software. We tailor our embroidery training to you and your employee’s needs.If you want to spend more time on one subject than another we focus on what you need. We train you on your Commercial Embroidery Machine at your home, shop, or place of business.Training can last from two hours to two or three days depending on how fast you and your employees pick it up and what you want to get out of the class. Our goal is to get you up and stitching before the end of training. 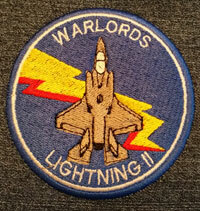 AJ’s Stitchin’ Time provides quality digitizing and graphic art design. You can find a lot of digitizers that will take your design, wash it through a digitizing program, and send it back to you in 24 hours. Basically an embroidery machine is a big printer, it prints with stitches instead of ink. At least that was what first caught my attention in the embroidery world. People were taking my designs and putting them on shirts and hats. I thought that if they could do that I could. We ended up buying and embroidery machine and creating our own shirts and caps. I can’t compete with some of these companies overseas that charge 12 dollars for a logo and that will have it back to you the next day. Some of these companies are good, some not so much. Most of them will send you the logo and you are not sure if it will stitch out or not. Most charge by the stitch so sometimes the designs are loaded with extra stitches. I am more concerned with quality Digitizing. We try to stitch out every design before we send it to the customer to assure that the design stitches out correctly and economically. 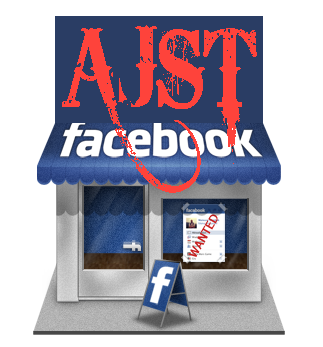 AJST's Company Store is a full service embroidery, monogramming, heat pressed, and garment decorating company. 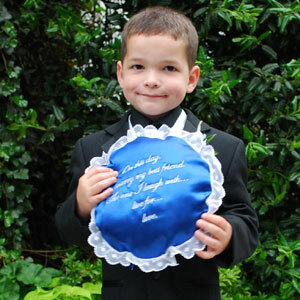 Since 2007, we have provided embroidery services to hundreds of satisfied customers. We are committed to exceeding the high quality digitizing, embroidery, and customer service standards that our customers require. We are located in Woodstock, Georgia in the United States of America, with the potential of serving anywhere in the USA. Any size order is possible, from the single item to hundreds. We specialize uncommon embroidery projects such as Wedding Embroidery, Vinyl and Leather for upholstery, Embroidery on Floor mats, Leather embroidery. We are authorized Hoop Tech, Mighty Hoop and Hoop Master dealers. If you see something on their site that is not shown on ours please let us know. We can usually get it for the same sale prices listed on their sites. AJ’s Stitchin’ Time, AJST, Certified Machines or Equipment are thoroughly examined and tested. We make sure all the components are in working order and functioning properly or thoroughly noted in the inspection report. In my business, trust is indispensable. I don’t like surprises and neither should my customers. I will not sell a machine or equipment that I know has issues or problems unless the buyer is aware of the issues and knows what they are getting. To be AJST Certified, AJST must be able to inspect the machine or equipment, the software, hoops, accessories, and it's components to verify that the machine is in working order and offered for sale as advertised. The initial inspection is an additional cost to the seller and subject to the Rates and Warranties listed on my site. An AJST Certified machine or equipment is in full working order. If there are any defects in the machine or equipment the owner must have it repaired or clearly identified and thoroughly noted in the inspection report before it is listed as an AJST Certified machine or equipment. We also sell machines on commission. I can help you sell your machine by contacting my customers and contacts. 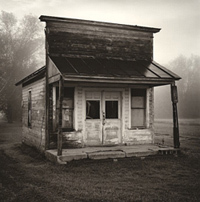 You decide the price and I charge a percentage of the sales price. All contact goes through AJST. You can list your machine and equipment on my site and sell it yourself. Send photos and a listing of your embroidery machine and equipment and I will advertise your machine for a small monthly fee. Interested buyers contact you directly and you deal with them directly. If you decide that you want to just get rid of your machine and equipment we may be able to offer you cash for your machine. AJST offers the following “Optional Services”. These services not included in the sale of the machine or equipment and are an additional optional service. I get asked a lot of questions so here are some Frequently asked Question and my responses. Some topics concern Commercial Embroidey Machine selection and some cover Embroidery Topics. We cover training for novice embroiderers and someone just breaking into the field to experienced embroiders needing to learn a new machine. The training is geared toward you and your needs. We focus on quality. We stitch out every design before we send it to the customer to assure that the design stitches out correctly and economically. AJ’s Stitchin’ Time provides embroidery and heat press services. We are your source for embroidery, monogramming and personalized apparel. 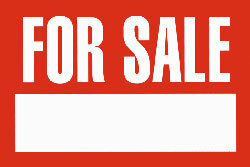 Periodically we have machines for sale, from some of our customers or we may offer them for sale ourselves. We advertise machines and equipment two different ways.